Hello, may I share this dance? this dance with no steps. And so I connect with you. and enable me to soar. 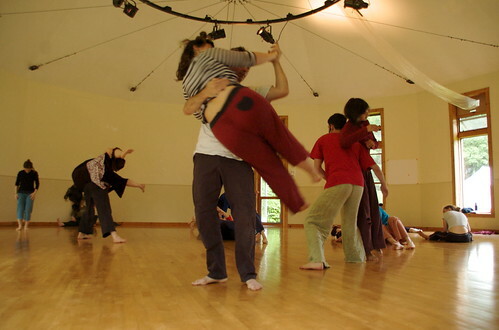 I just spent five days at a contact improv dance jam at Earthdance, a retreat center in western Massachusetts. My bestest dance partner Megan and I drove out, 24 hours each way. 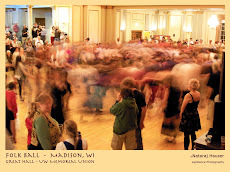 The event is a combination of a jam - unstructured dancing - and some classes and structured dancing. There are approximately 100 people at the event, so there are a large number of possible experiences to have. The sense of community is astonishing at Earthdance. Everyone feels a strong sense of connection; people CARE about you there, even if they have just met you. It is a rarified community experience sorely lacking in many people's lives. Some find it at a church. Some find it in a softball league. For me, it is about dance. Five days of living in community is like a drink of pure, cold water to a parched soul. If you ache, someone is there to comfort you. If you are grieving, warm arms hold you while you cry. If you are filled with the promise of a new start, faces alight at your potential joy. If you need to be held, you will be nurtured and cradled. If you have strength or compassion to spare, there is frequently a need. Sometimes it is simply your turn to just dance and connect with another at a deep, deep level. Tasty food is lovingly prepared and gleefully served. Everyone cleans up. Music happens. Art happens. Love unfolds. There is magic at the core of Earthdance. Magic is the act of causing change to conform to one's will. Is your life like this? Could it be if you fostered it? That sounds absolutely amazing. Thank you for sharing the adventure with us! This sounds very much like my experience at Sacred Fire Circle weekends. There is much magic, indeed!